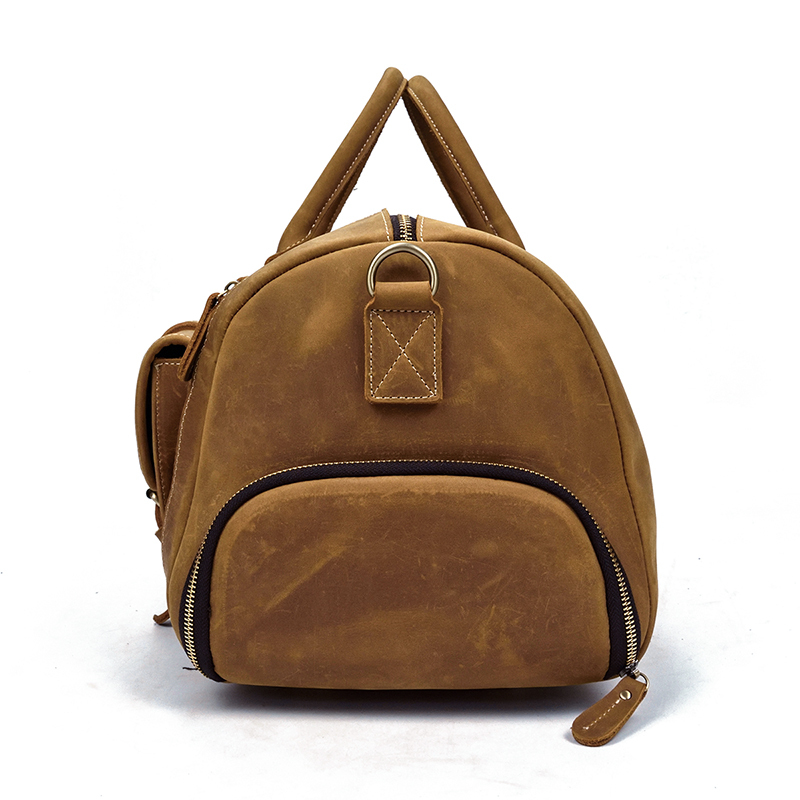 Material: High quality genuine leather, durable fabric lining. 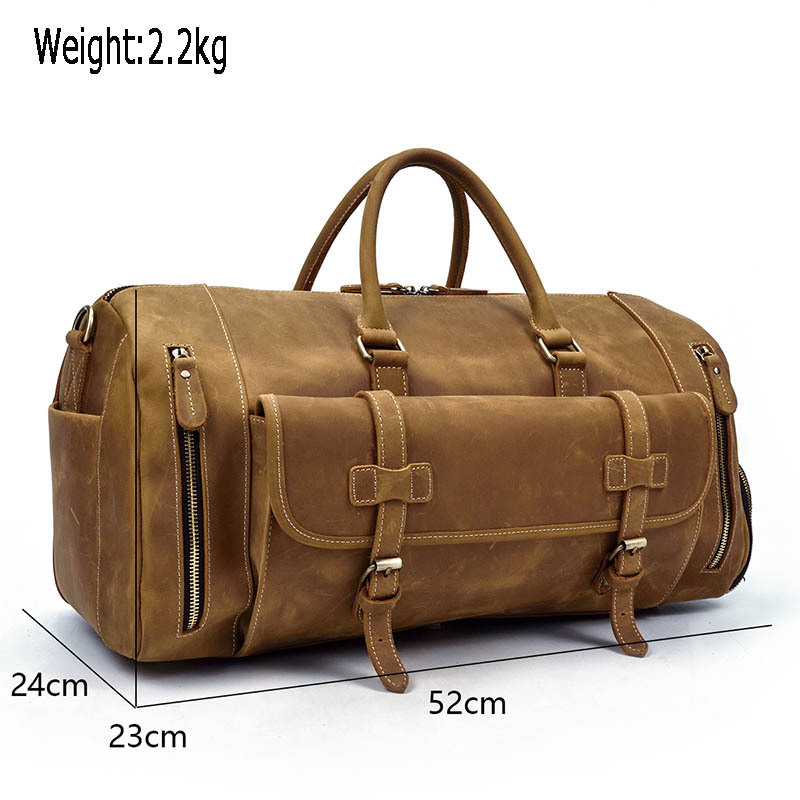 Size: 52*24*23cm(L*W*H), weight: 2.2kg, shoulder strap length: 145cm. 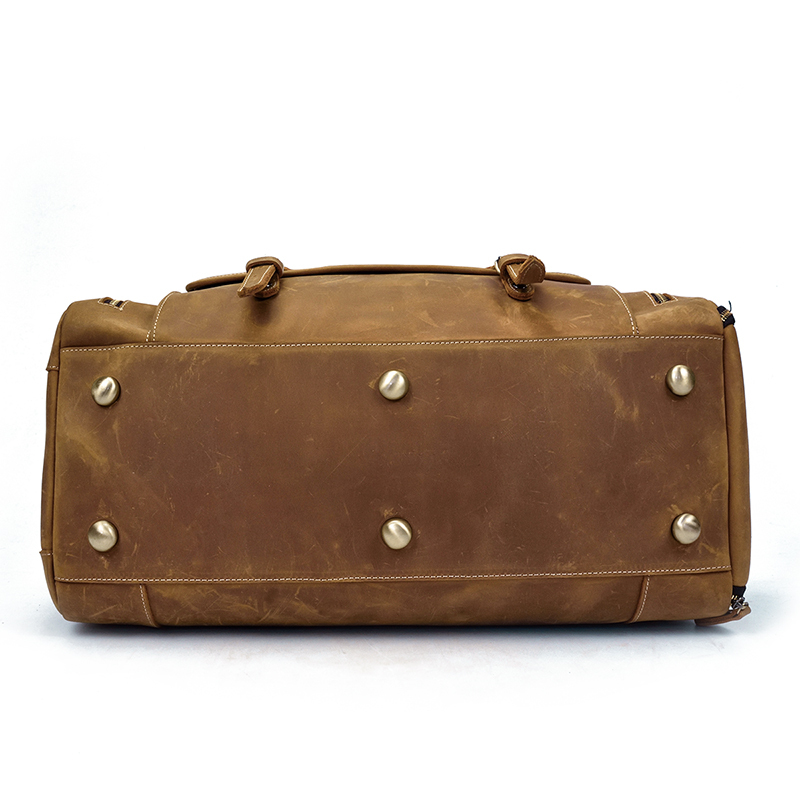 Vintage Design: Fashion and vintage look, there are 6 rivets in the bottom, strap holder and handle was strengthen by rivets. 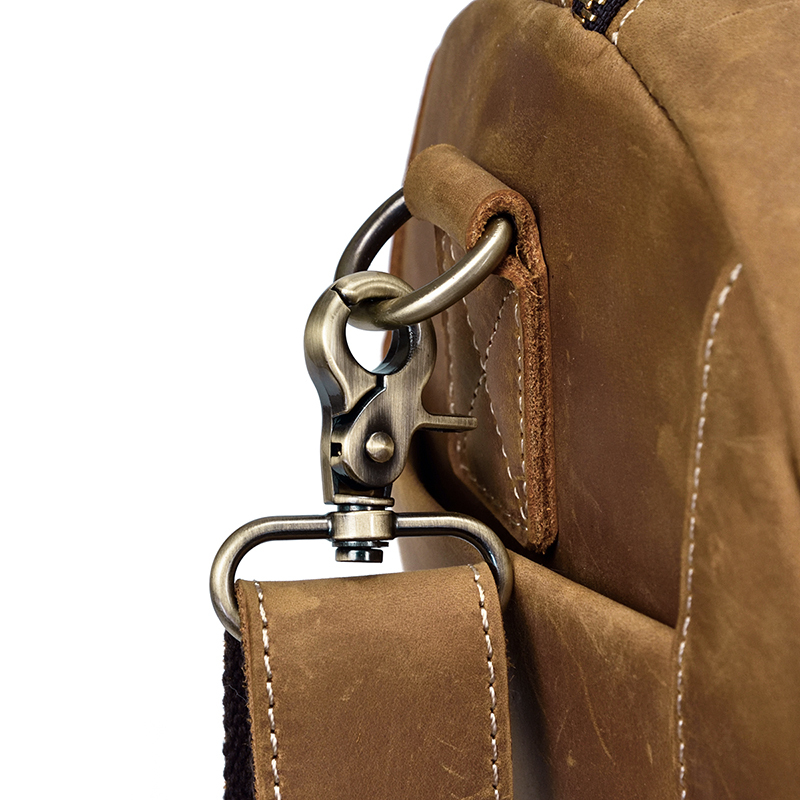 And the removable shoulder strap is adjustable and padded for comfort. 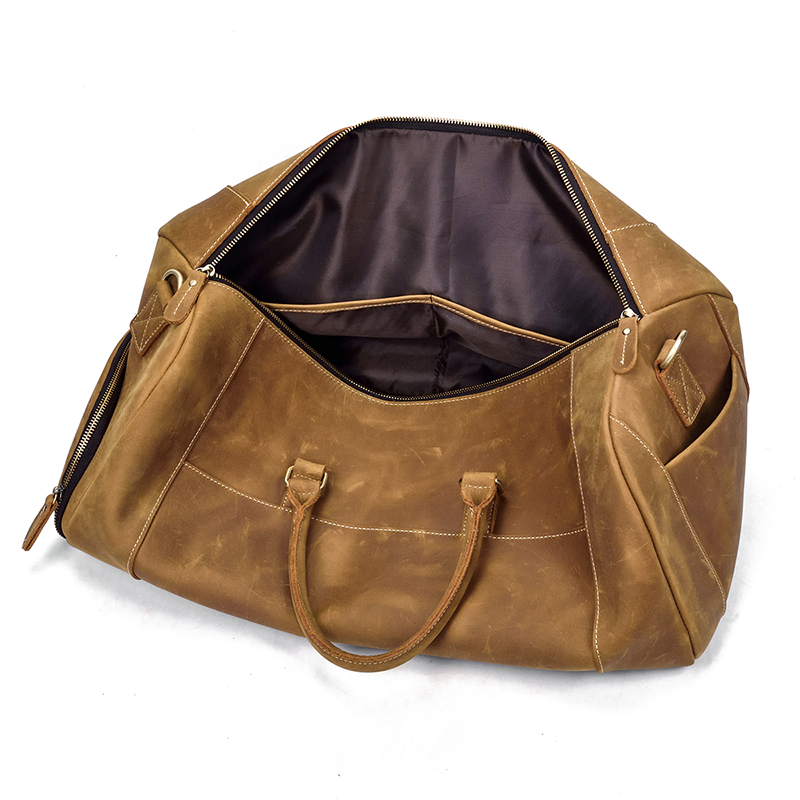 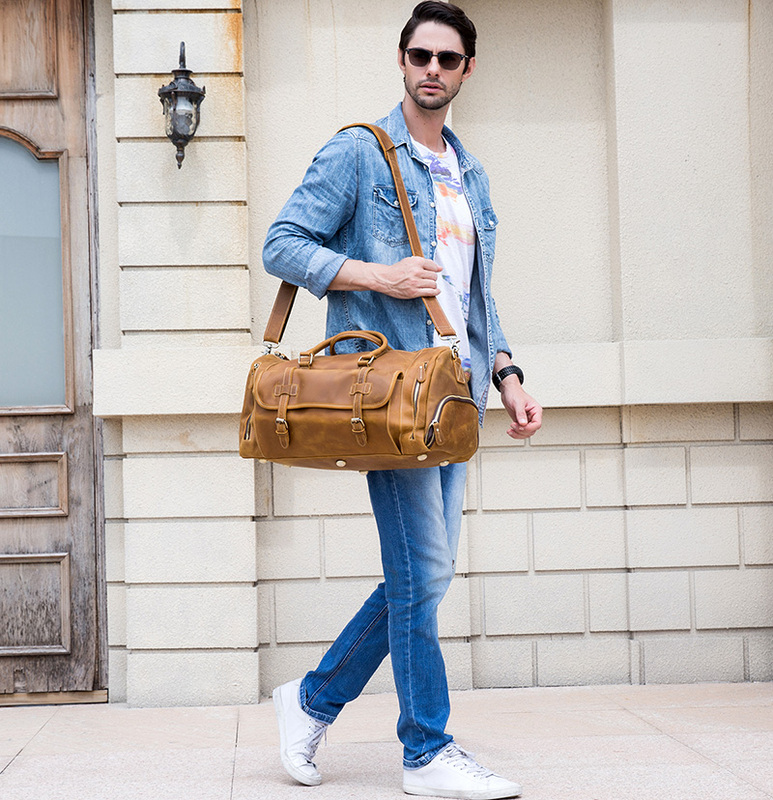 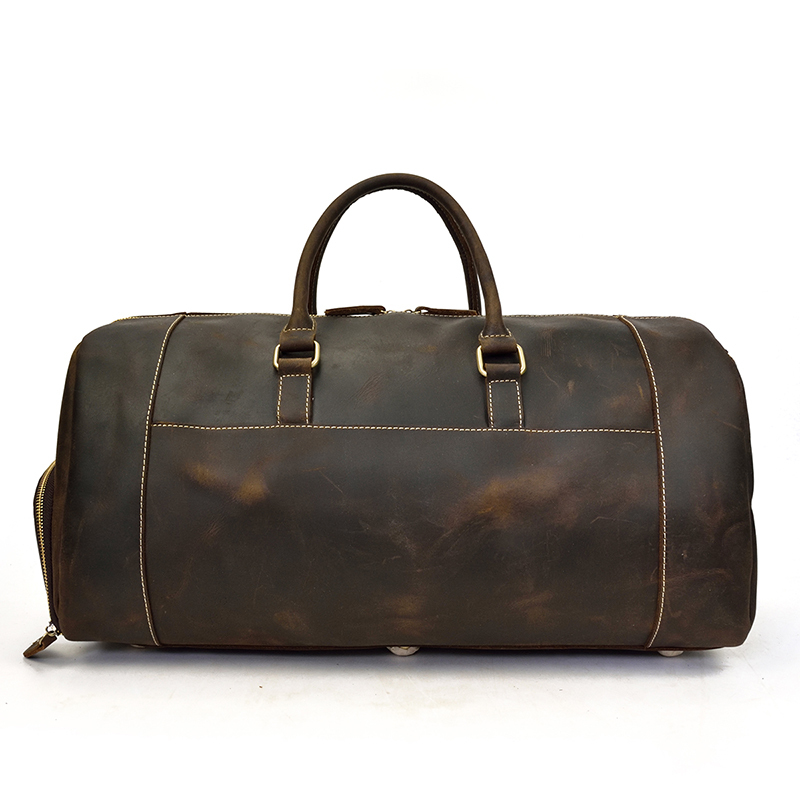 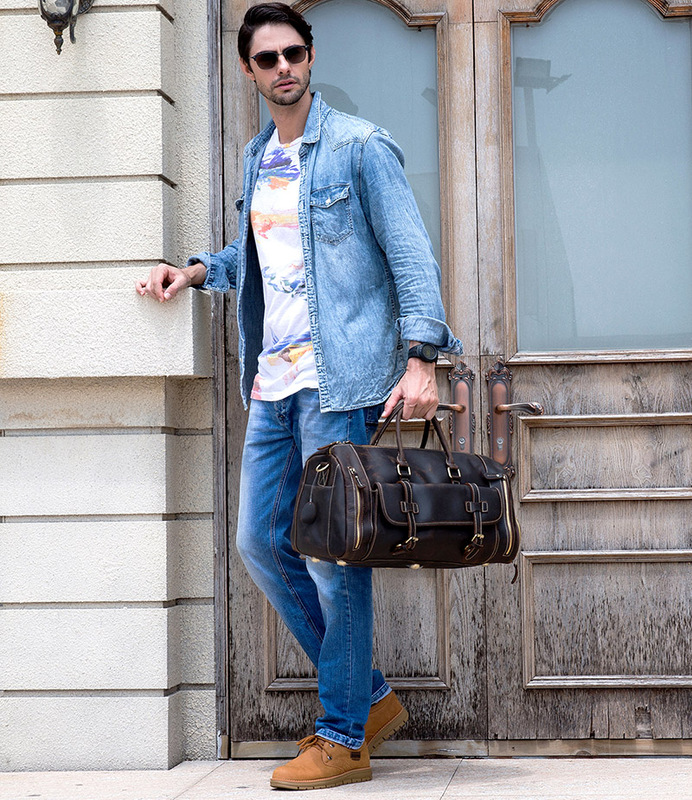 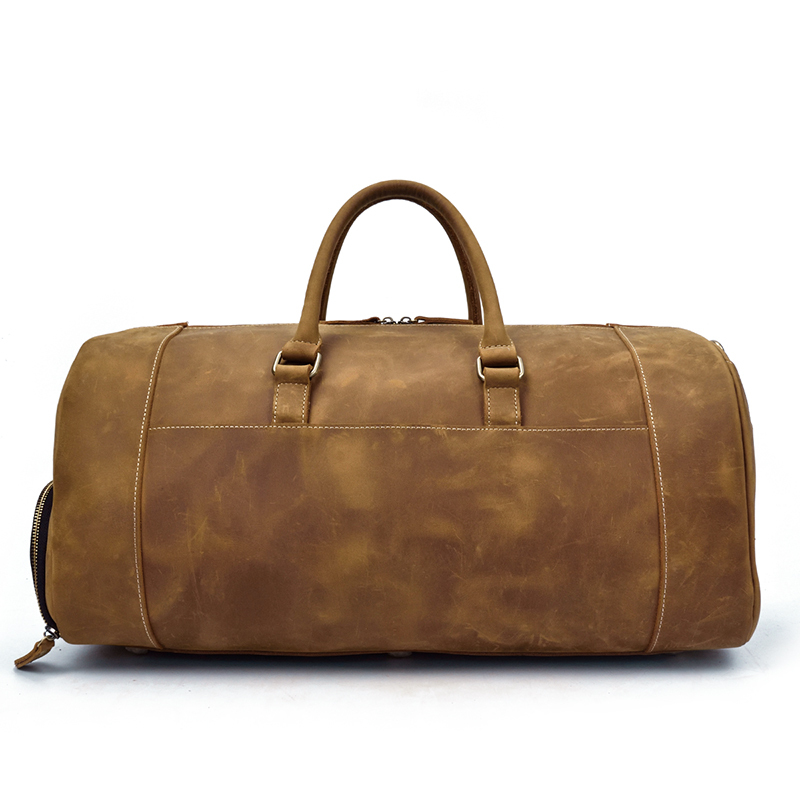 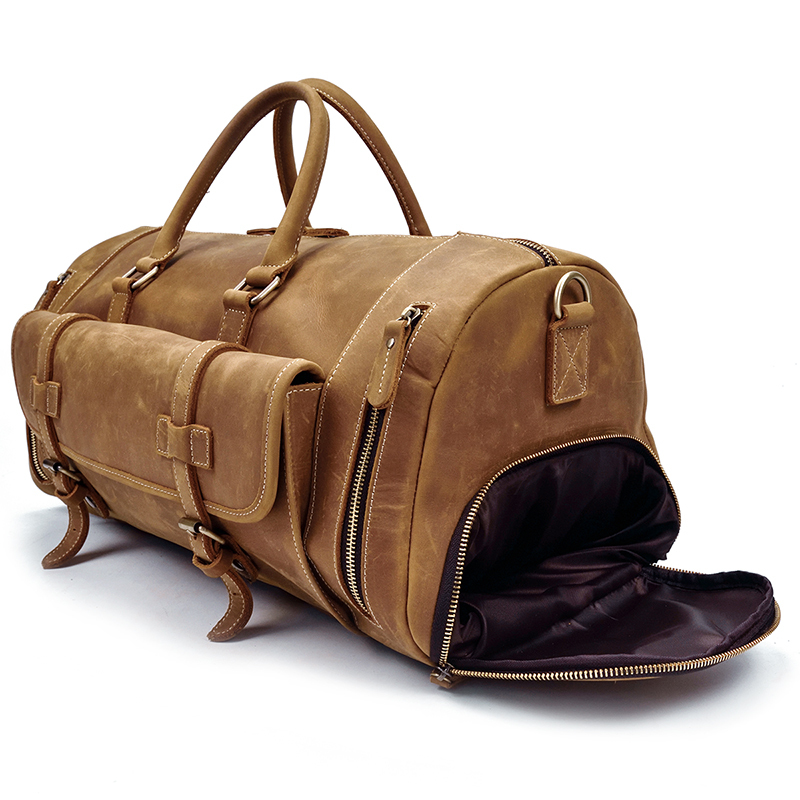 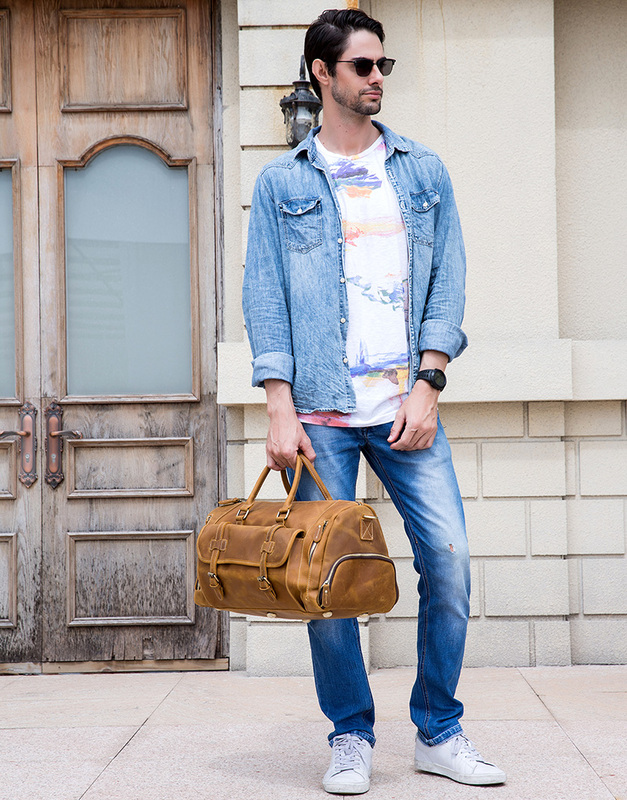 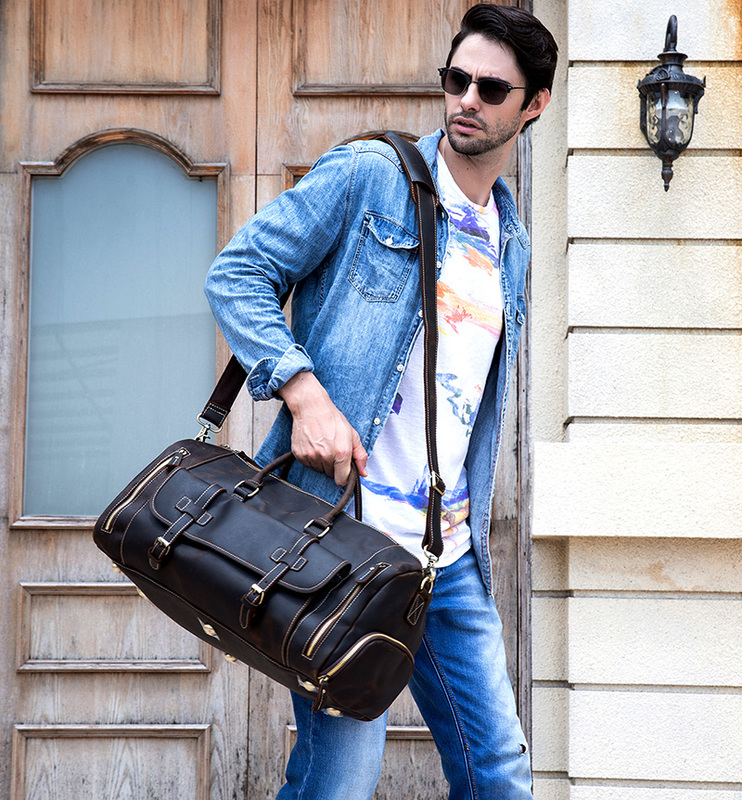 Structure: The oversized duffel bag contains 1 big inner compartment, 1 inner zipper pocket, 2 insert pockets, 1* front magnet pocket, 2* front zipper pocket. 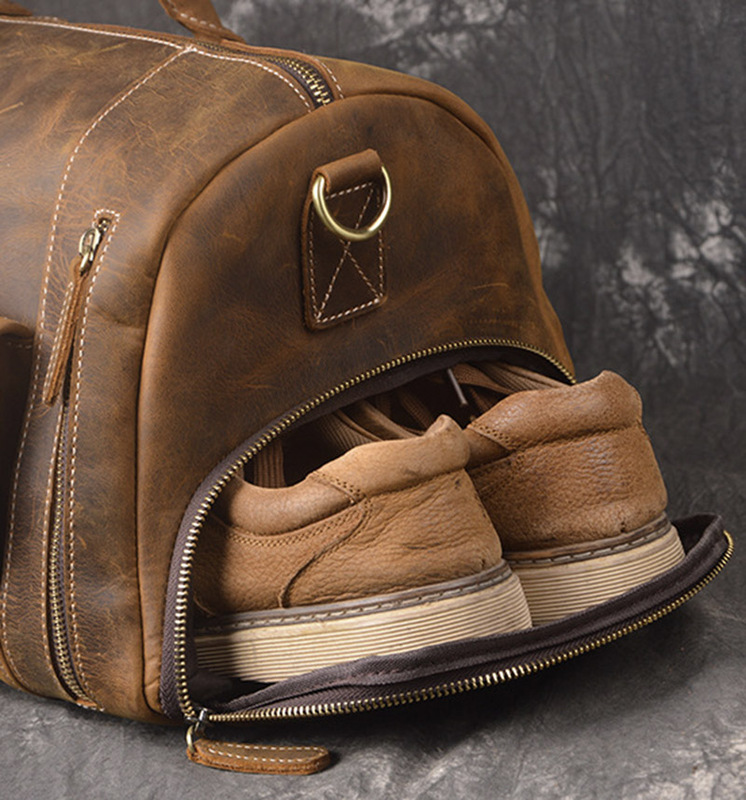 Besides, there is a handy shoe compartment with zipper closure. 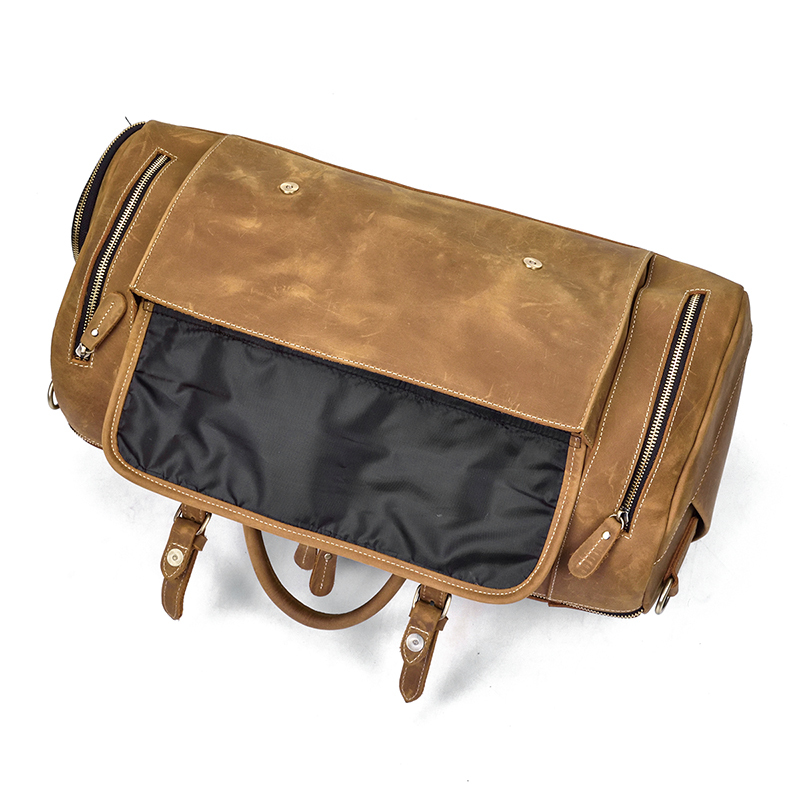 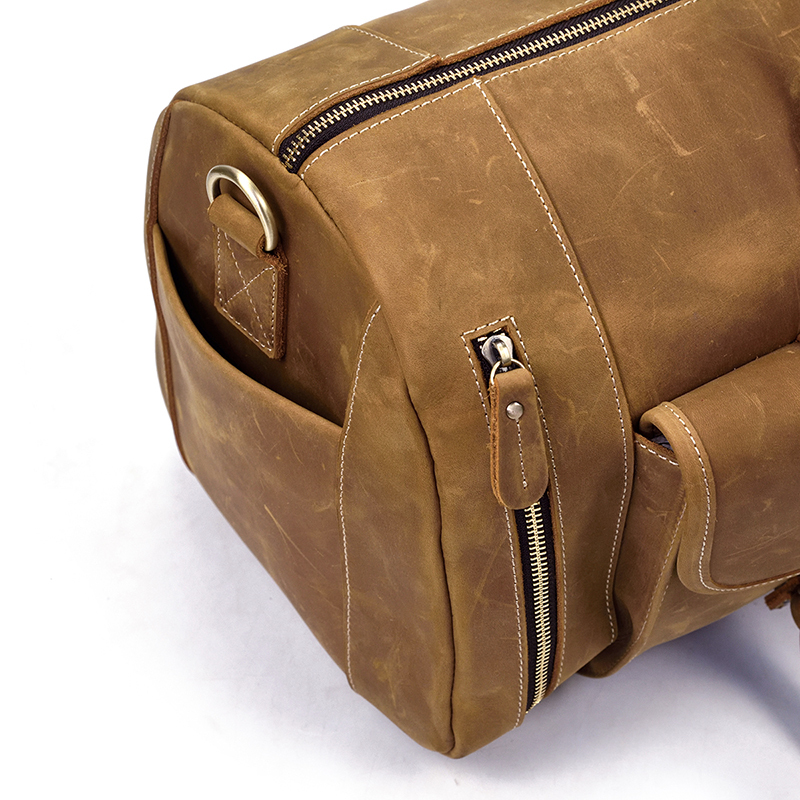 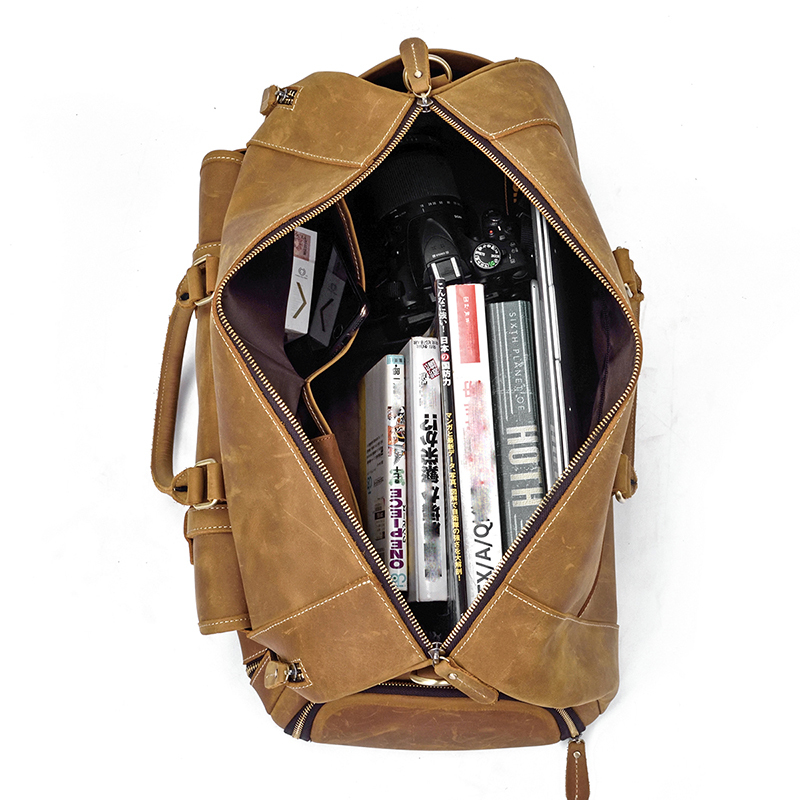 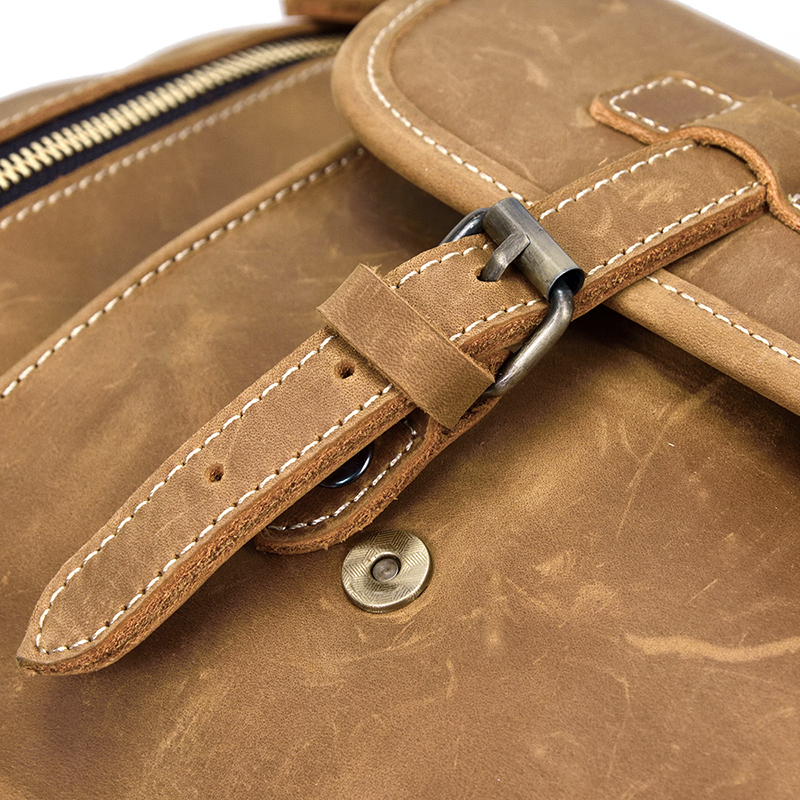 This weekend bag easily hold your 15-inch Laptop, iPad, iPhone, clothes, shoes and other Things. 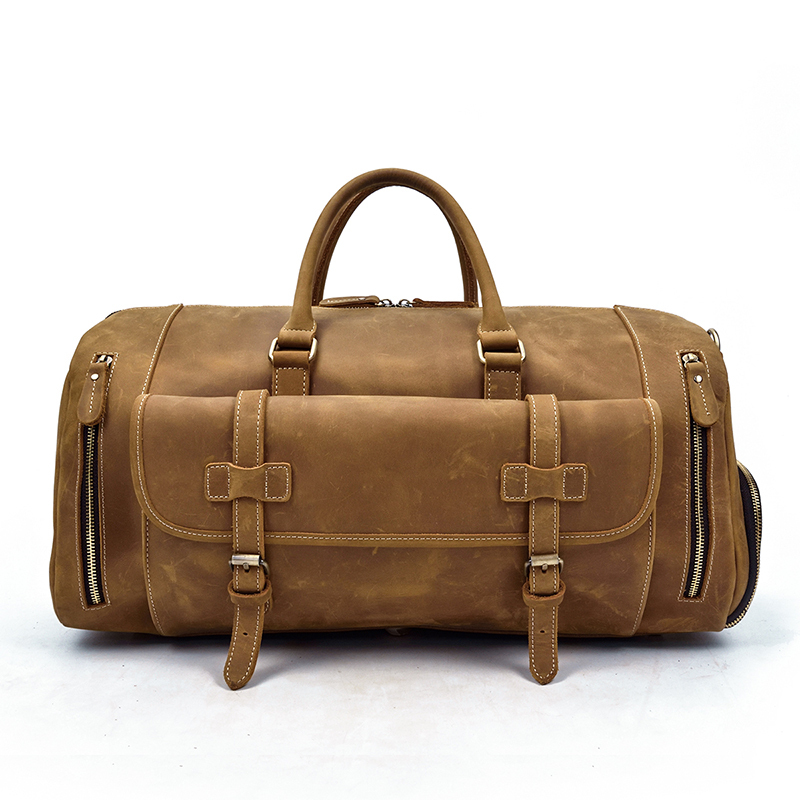 Multi-functional: Ideals for travel, sports, business trip and daily life. 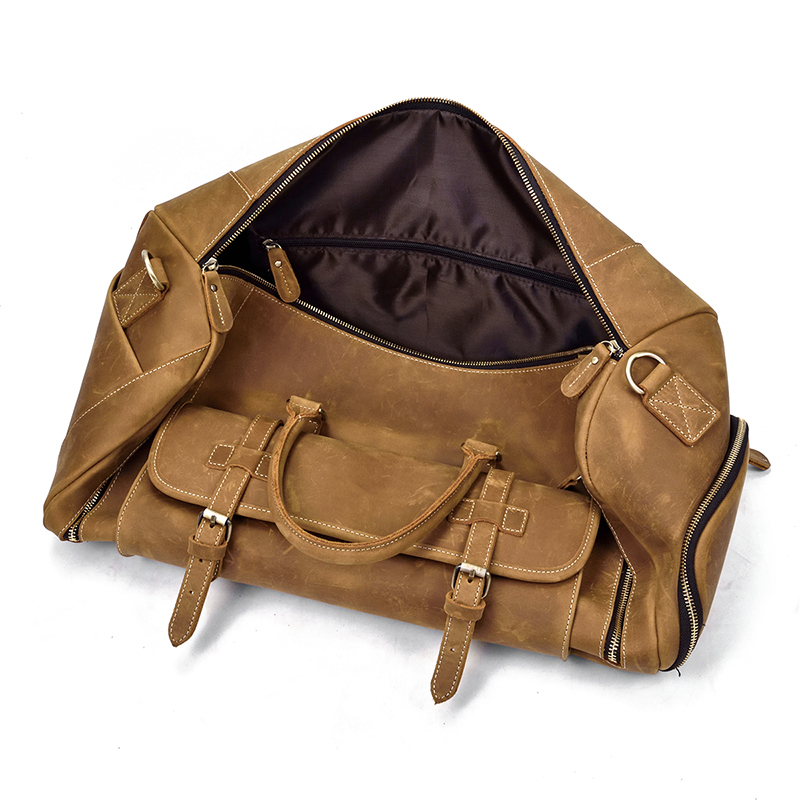 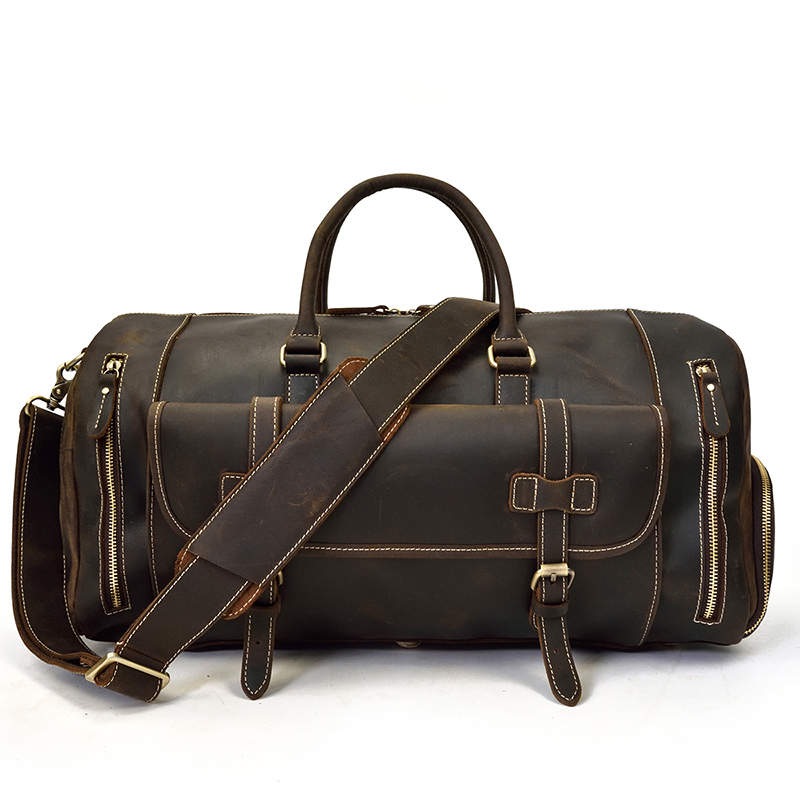 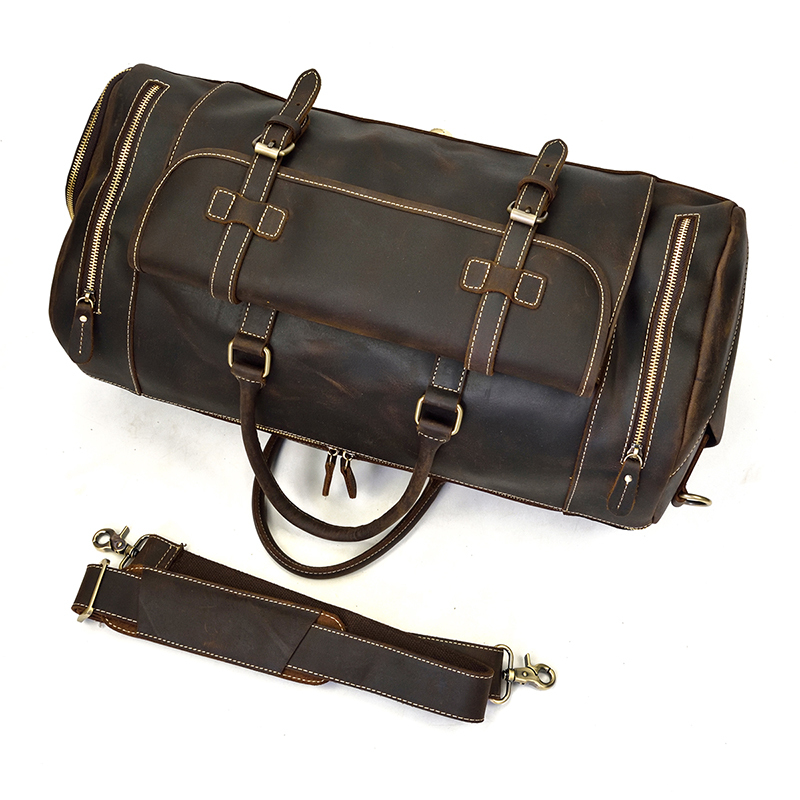 It can use as a travel bag, weekend bag, overnight bag, gym duffel bag. 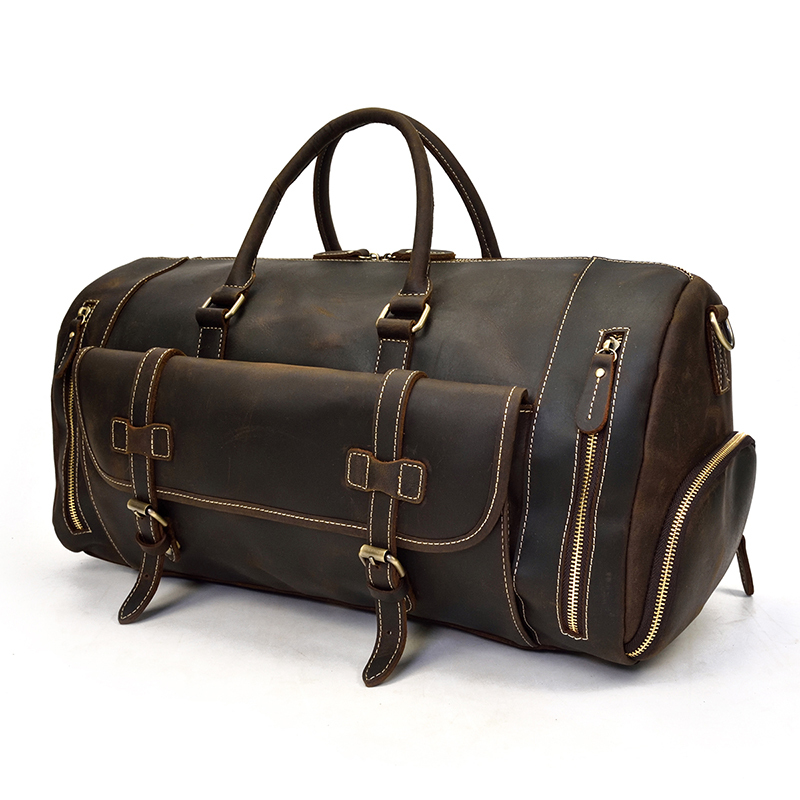 It is a great gift for your boyfriend, husband, father and son.